HENDERSONVILLE TN. 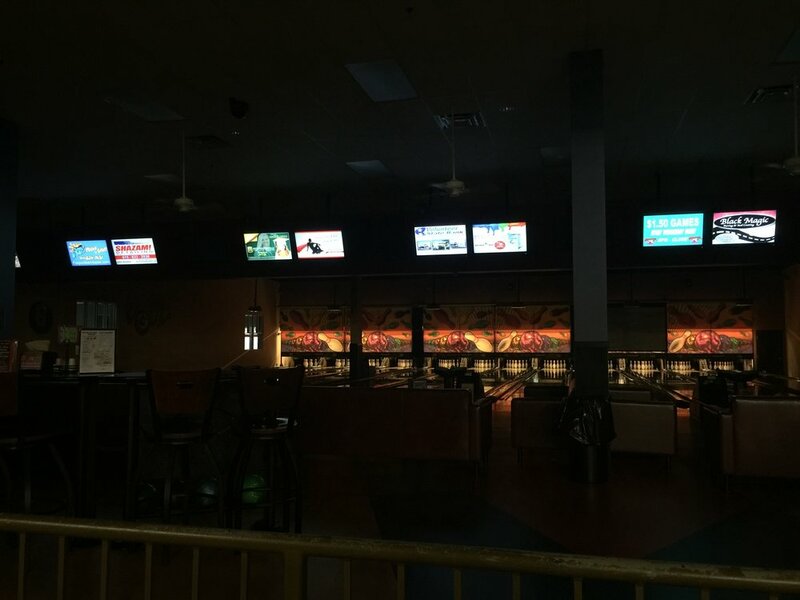 Hendersonville Strike and Spare is a Bowling Entertainment Center covering 85,000 sf. It has 48-lanes of Bowling, "Circus World" arcade/roller skating, "Conway's" lounge and party areas providing wonderful family entertainment this suburb of Nashville. Bowling is arranged in a split-house pattern. 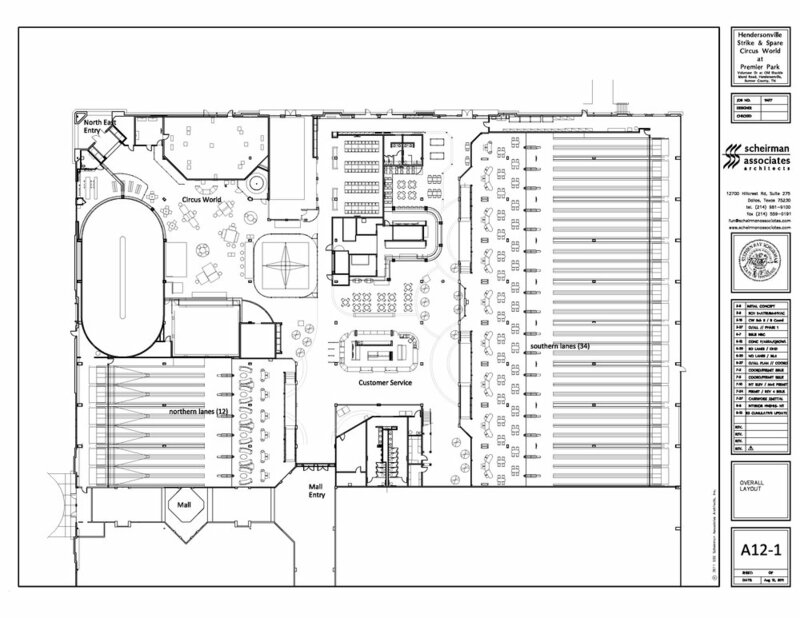 The 12-lanes (left) have couch seating, special light & sound for a "VIP/Party boutique" atmosphere. The 34-lanes (to the right) is arranged for open and league play. 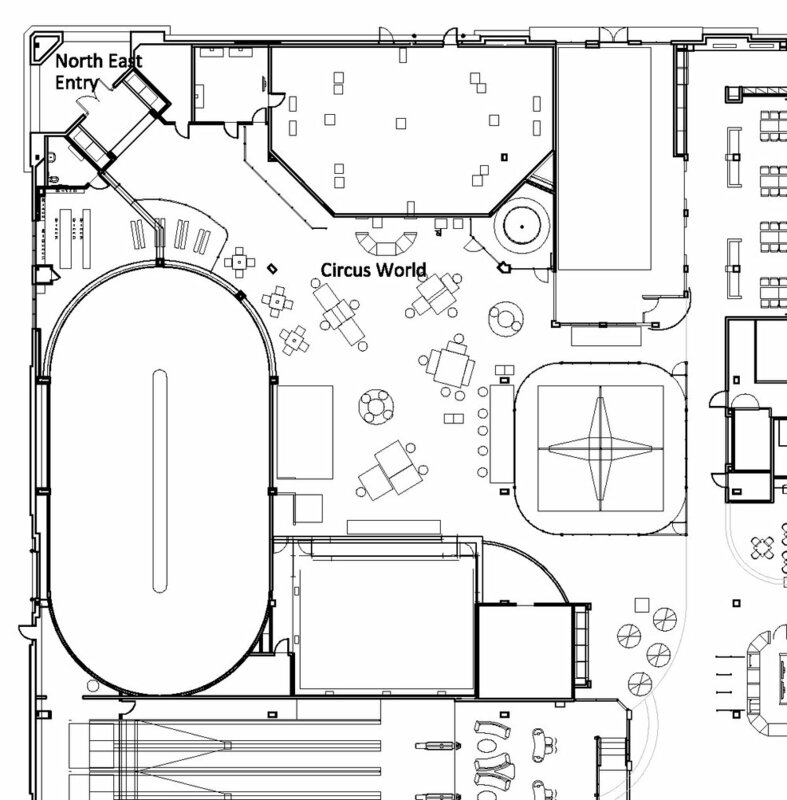 Circus World features multiple games and venues (see Feature 2 below). Circus World features multiple games and venues. 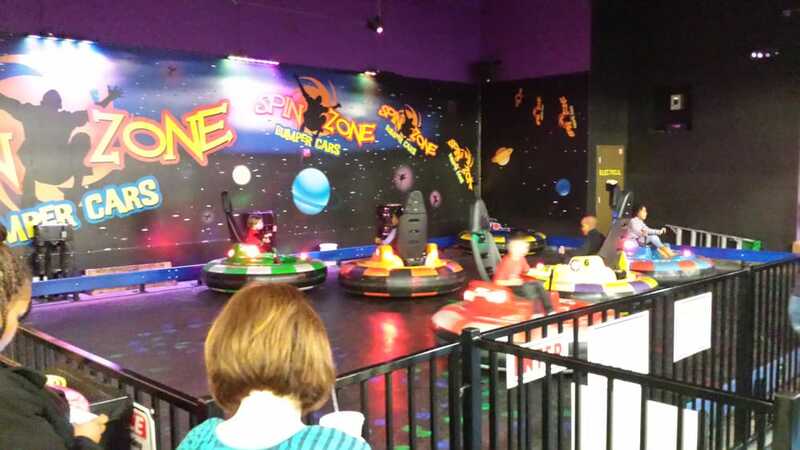 The Roller Skating Rink, Laser Tag, the awesome Bunge Jump, Soft-Play, Bumper Cars and "time-freak". All designed for fun, the attractions and venues are sold in a wristband package. Busses and families can access the area from the central wristband counter or the North entry (upper left). The central Customer Service functions as a Front Desk (6 o'clock position), Ball and Shoe rental (3:00), Redemption Center (12:00) and Circus World wrist band (9:00). in the middle is the Audio Visual Light and Sound for all areas of the facility. Above is the Food Service. Challenging workflows and customer interactions. The kitchen and surrounding counter zones handle multiple flows. One to Conway seated restaurant (yes, named after Conway Twitty), another (up) towards the Bar and Lounge, a third flow to the right for Lane Service/walk-up, and, Party Rooms (up to the left).